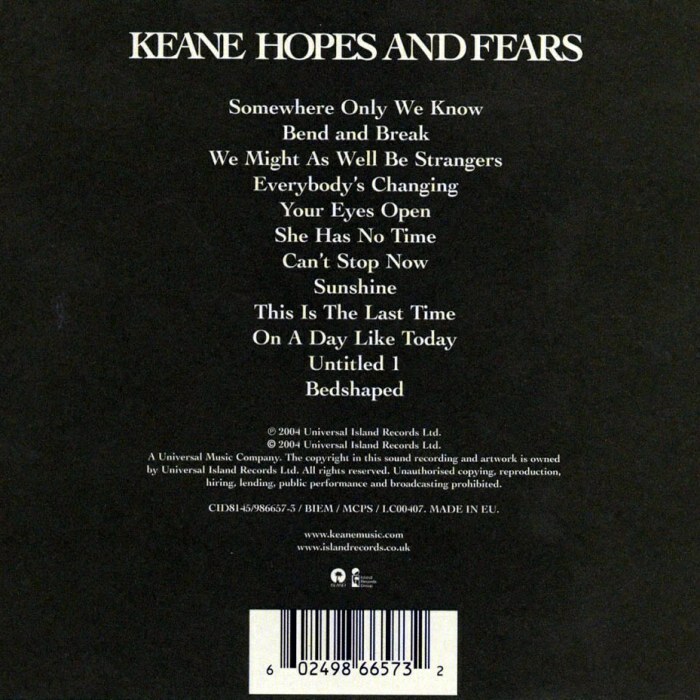 Hopes and Fears is the debut album by English alternative rock band Keane and was released on 10 May 2004 in the United Kingdom. 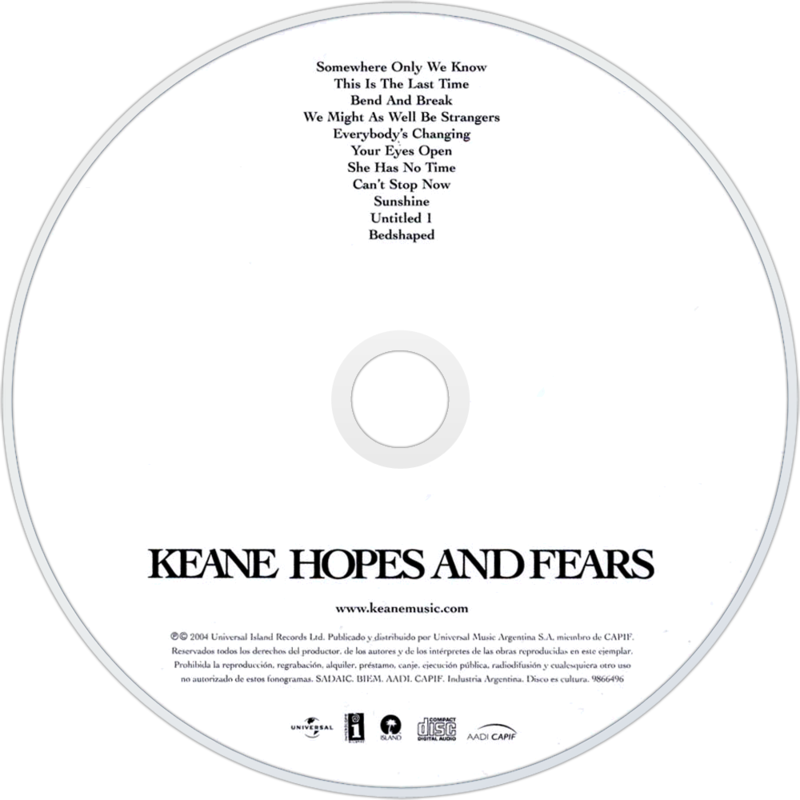 It topped the UK album charts upon release, was the second best-selling British album of 2004, behind Scissor Sisters' self-titled album, and has since been certified nine times platinum by BPI. It returned to the top of the charts after winning a Brit Award for Best Album in February 2005. With more than 2.7 million copies sold in the UK, it was ranked the 11th best-selling album of the 2000s in the UK. In July 2011, it was ranked the 9th biggest-selling album of the 21st century in the UK. Worldwide, the album had sold over 5.8 million copies as of November 2009.